The National Land Survey reports on its social responsibility for the fourth time this spring. The report describes the most essential acts of responsibility during the year 2017. – I think that it is important for any organisation to consider its significance to society. 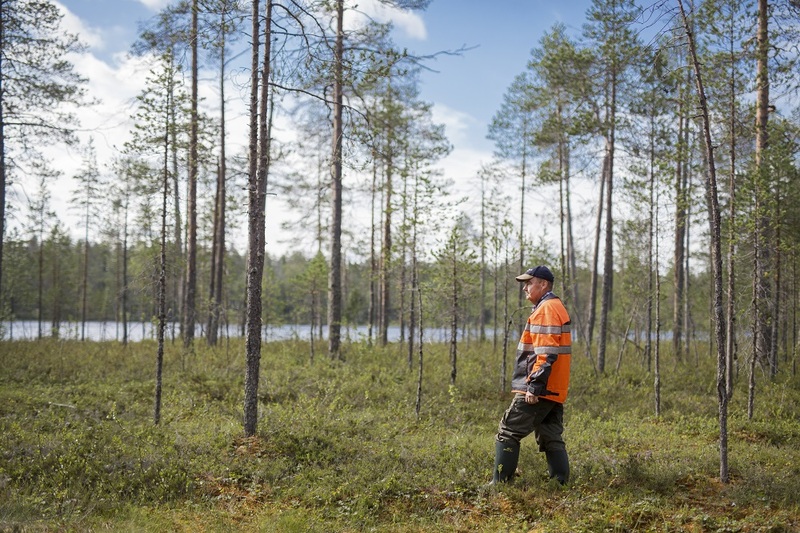 It is important to ensure that both we and our stakeholders understand the good we do and how we are improving when it comes to our financial, social and environmental responsibilities, says Arvo Kokkonen in the Director-General's overview. Employees will only have the ability and motivation for strategic development if their well-being at work is guaranteed. Investing in well-being at work is also part of the employer's social responsibility. The NLS personnel's well-being at work is surveyed annually using the public administration survey tool VMBaro. According to the survey, the situation looks good: In each set of questions, the National Land Survey's results were better than the government's average. In 2017, job satisfaction was 3.84 on a scale 1–5. Job satisfaction has increased for several years: it was 3.76 in 2016, 3.64 in 2015 and 3.55 in 2014. Today, the National Land Survey has an extremely extensive operational development portfolio. In addition, we participate in the government's joint development projects, such as building the register of housing company shares and the Spatial Data Service Platform. Society evidently trusts our capabilities. – When we are working on large projects with a significant impact on society, it is not enough to be capable or to trust ourselves; rather, we must be able to cooperate with different partners. In today's world, networking nationally and internationally is clearly the thing to do, and in this, we still have a lot to learn, writes Arvo Kokkonen. Digitalisation enhances our operations and saves the environment. At the end of 2017, the National Land Survey completed an electronic mass conversion of mortgage deeds, in which approx. 2.5 million paper mortgage deeds stored in banks were converted into electronic format. This was approx. 94 per cent of the mortgage deeds stored in banks. The rest will be digitalised in 2018. A little over 2.7 million of totally 3.6 million Finnish mortgage deeds are now in electronic format. The number of digitalised mortgage deeds equals approx. 1,400 boxes of paper. Thus, the digitalisation freed a lot of space in the bank vaults. The reform also decreases the need to use paper in future. The National Land Survey and the Population Register Centre implemented a map layer called Plain map in their online services in 2017. The Plain map is available at the MapSite and it can be used as a background map in Suomi.fi, Suomi.fi Maps, Paikkatietoikkuna and the Web Map Service. The new Plain map has been developed to help people with poor eyesight or reduced cognitive skills. The new Plain map differs from the NLS background map that was previously used in Suomi.fi, for instance, in such a way that there is less information on the map and it is visualised better. For example, the visualisation hierarchy of geographical names has been simplified so that texts, roads and buildings can be seen easily. The principles of plain language were used when developing the plain cartography. Information security is often considered a range of technical solutions to protect the organisation's systems and equipment. Information security is, however, much more than that–above all the correct and secure handling of information by employees. Information security is a very important issue within an organisation that manages registers and systems that contain a lot of personal data and data capital that is important for society's functions. In 2017, security culture was promoted by renewing the online course on security for the employees. By the end of the year, 1,585 of 1,786 employees had completed the extensive course. Moreover, the personnel was informed of security matters on a regular basis. Also, a competition for security proposals was organised.